Once upon a time Microsoft, Nintendo and Activision, entered an agreement to make the impossible happen and produce a high-resolution port of the N64 classic Goldeneye for the XBox 360. Activision held the Bond license, Microsoft held the studio, and Nintendo held the rights to the game itself. Three separate companies rarely enter a mutual agreement of this nature, but according to Unseen 64, it was happening at one point….only for Nintendo to back out of the deal for unknown reasons when the new version was almost finished. 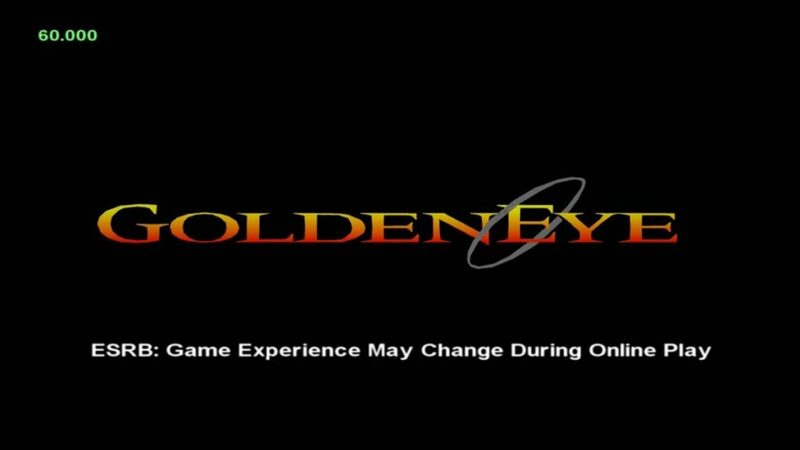 Now, out of nowhere, comes 30 minutes of gameplay footage from the aborted Goldeneye port. The website Rare Thief has somehow purloined a prototype. They aren’t saying where or how, or even if this is someone else’s copy they were allowed to borrow…but this is it! You’ll see footage of the Dam, Surface, Facility, Cradle, and Aztec missions, in HD widescreen and 60 frames a second. One extra feature was the ability to switch between 360 and N64 texture modes, which the player toggles several times. Rare Thief must have some inside connection. The same site has posted game footage from the abandoned titles Twelve Takes: Conker 64 and Dinosaur Planet, as well as beta versions of Jet Force Gemini and Perfect Dark.